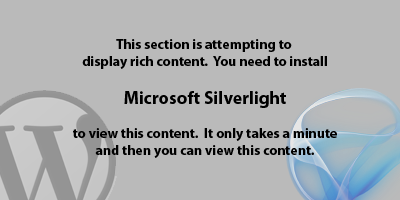 Silverlight UK User Group – Next steps? On the 23rd June, I presented to The Developers Group (DG) again, this time, on the subject of cloud computing. I’m actually very glad I had the opportunity to do this, since it has helped me reassess the constantly shifting landscape of cloud providers and the features/capabilities/offerings available right now. This has been important since I’m finding a lot of my time is providing “cloud advisory” to clients, that is to say: technical architecture consultancy weighing up the use of cloud computing for businesses. I have to admit that the slide deck that I compiled was a bit on the wordy side and a lot of the time I picked on only a couple of points on the more busy slides. You should have been there to hear the commentary!! But for those that did not make it to the event, the slides are set out below. Slides: Cloud Aspirations? your options… – by Mark Mann. Note: In the time between presenting this session and sending up this post, Google came out with a little surprise… they’ve announced a new IaaS capability called Google Compute Engine. There is a slide in my deck which broadly explains the capability and foibles of Google App Engine (which is their quirky PaaS offering) and I stand by my statements and commentary. Google Compute Engine will bring Google into the realm of Amazon AWS (already established as a IaaS leader) and Windows Azure (whom announced IaaS recently too) with raw computing power in the form of virtualised Linux machines. Many thanks to the DG hosts (Jason and Joanna) for inviting me back. The other sessions of the day might be on the DG website.